Sarah Palin Is NOT The Mother of her Down’s Syndrome baby!!! 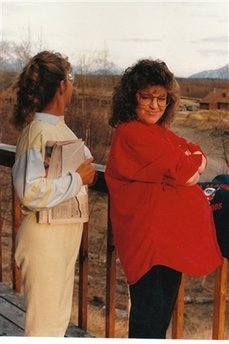 Sarah Palin: Seven months pregnant? YEAH RIGHT! At the exact same time, her 16 year old daughter (see photos of her, clearly at about 4 months pregnant) suddenly had to take eight months off from high school for “Mono” *ahum* *cough*. Eight months for mono? A common excuse to cover up teen pregnancies. Classmates have testified that they saw her pregnant! What a pathetic excuse for a VP. I wonder if McCain’s been hitting the weed or something. 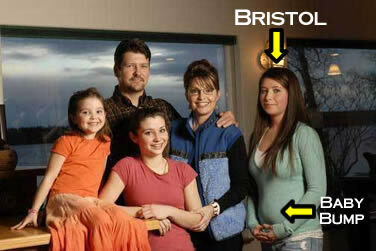 One of Palin's PREVIOUS pregnancies!